ATTN: Results corrected at 18:25 CET in the SSV - new winner here the Russians Ponomarenko / Shubin! 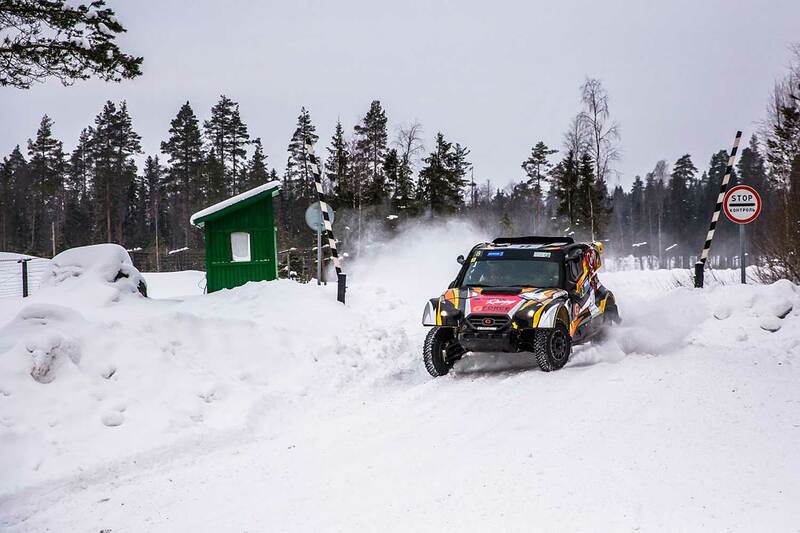 The FIA World Cup Champions Nasser Al Attiyah from Qatar and Mathieu Baumel from France have preliminary won with their Overdrive Toyota Hilux the Baja Russia Northern Forest, which finished today in the Russian Karelia Region near the Finnish border. 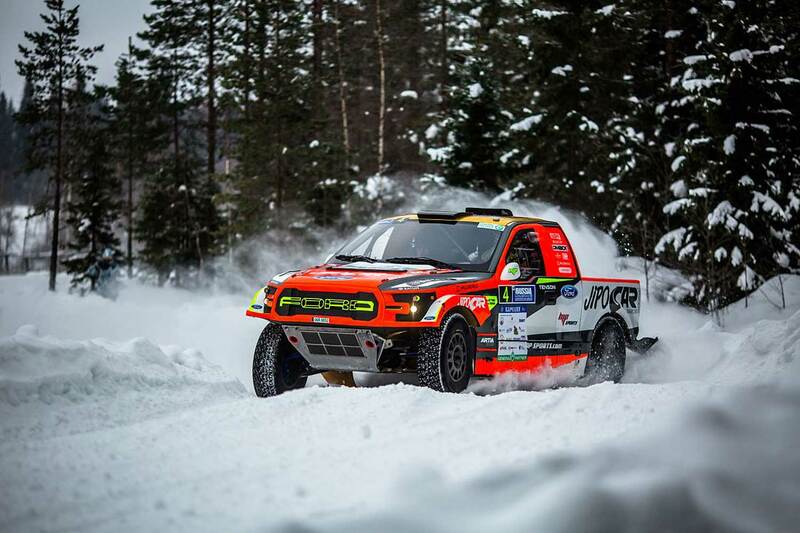 Second are the two Czech Martin Prokop / Jan Tomanek (Ford F150 Prototype) in front of the Russian X-raid Mini crew Vladimir Vasilyev / Konstantin Zhiltsov. "It was a good rally for me, because for the first time being here in Russia, we are leading the rally," Al Attiyah said after the Race. "I’m quite happy to win, I’m sure all the people are happy; I have a lot of fans in Russia. I’m happy. Thanks for the organization, for the marshals; it was a nice start of the season. And, of course, thanks to Toyota, it’s the best team! 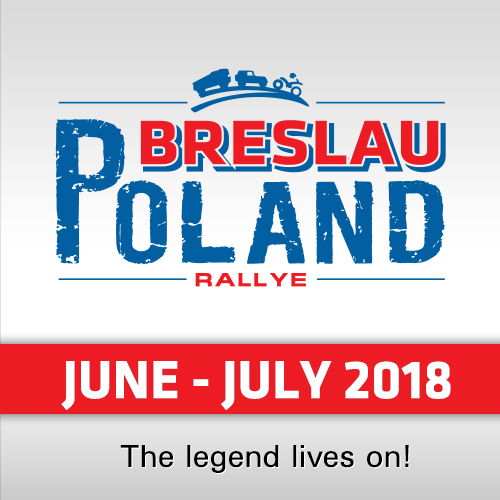 I like this rally, it will be my favourite now because it is fun to drive here, for example when you can drift at 160 km/h!" His navigator Mathieu Baumel added: "The most interesting is that the roads here are wonderful. The rally is too short; we want to compete more – tomorrow, after tomorrow and after-after tomorrow! We need three more days. 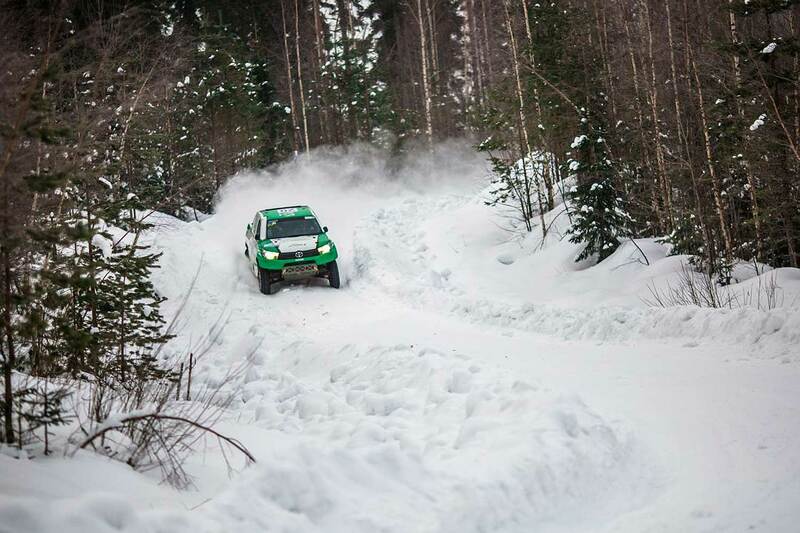 The rally is fantastic, the forests and driving on the ice, snow. Nasser did it very well and we enjoyed the route. Now we need to wait for one more year to come back!" Czech Martin Prokop was happy with the race but not with his tyres: "Nothing really happened on this leg, because we went quite comfortable on the second position and enjoyed the race. It was a very nice rally, I'm very surprised with the stages, it was more than I expected. I’m happy with the weekend and I’m happy with a lot of points for the Championship. The experience is amazing, next year I really would like to come again if it will be the World Cup, I will come for sure! I only will bring better tyres and fight for the victory." 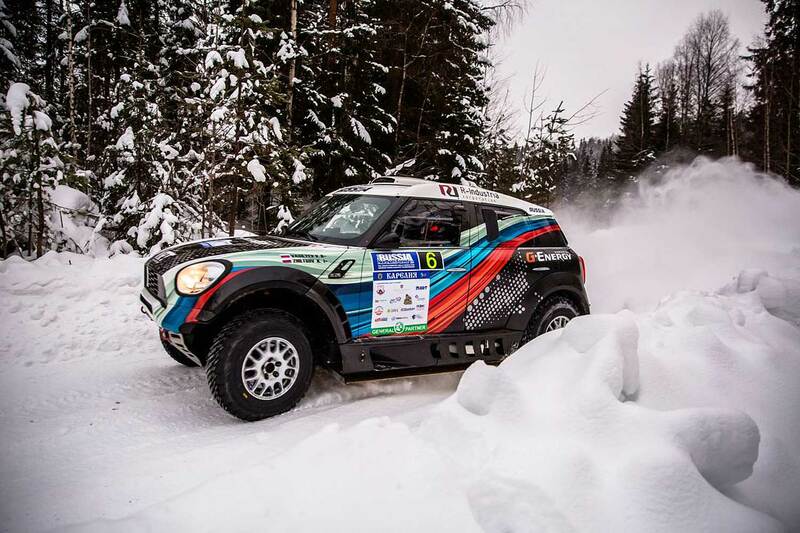 Third Vladimir Vasilyev was fighting heavily with his Diesel-Mini against the V8-Gasoline Prototypes: "Well, it’s not possible to catch up a gasoline car if you drive a diesel one! It’s really difficult to resist gasoline engines; the drivers are very good and you just can’t catch them with the diesel engine. If you look at the statistics, the next diesel car is Jakub Przygonski; he loses a lot even to me. Although he is also a fast driver. 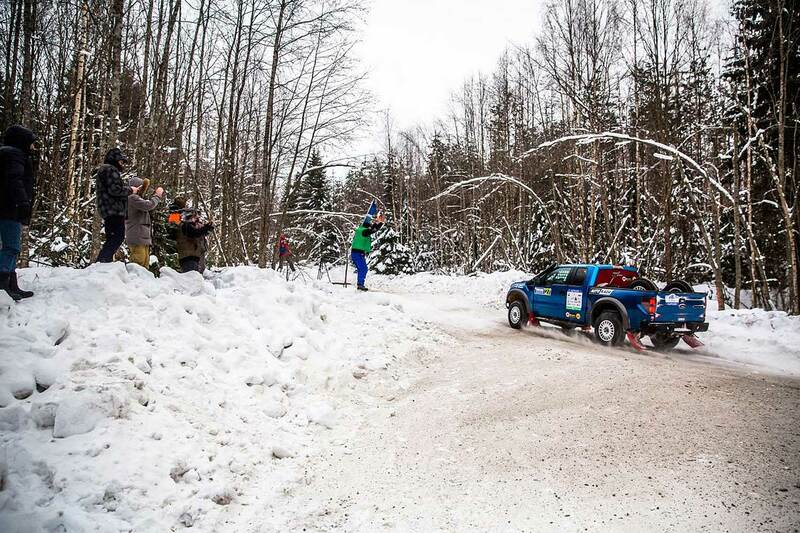 At the beginning of the day we were determined to catch up Tapio Lauronen, who was in the third position. Only a few seconds divided us from him, but unfortunately his car broke down, so he gave us a place not in a fight, but for technical reasons." Also in the T2 Production cars we saw an interesting fight - finally the Russian Alexey Titov and Andrey Rusov made it with their Ford F150 Raptor in front of Bruno Oliveira / Paulo Marques from Portugal in their "nearly historic" Nissan Navara and the Qataris Aden Hussain / Nasser Al Kuwari (Toyota Land Cruiser VDJ200). "Everything is fine; the race is super, thanks to organizers so much," winner Alexey Titov said in the Finish. "Everything is just like last year, only better. All the forest parts of the tracks were difficult in terms of the surface; there were some rocks and gullies that could not be driven quickly. And this year those tracks, all parts, were actually faster. Today was the second day, and of course, there’s a rut, so it was more difficult. But on the other hand rut is holding you. Everything is super!" 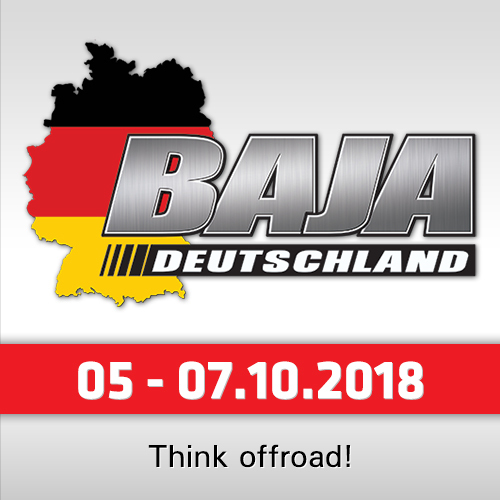 In the SSV (T3), first it was announced that Polaris-Dakar experts Claude Fournier from France and his navigator Szymon Gospodarczyk from Poland could win the race with their Polaris RZR1000 - but that was wrong. 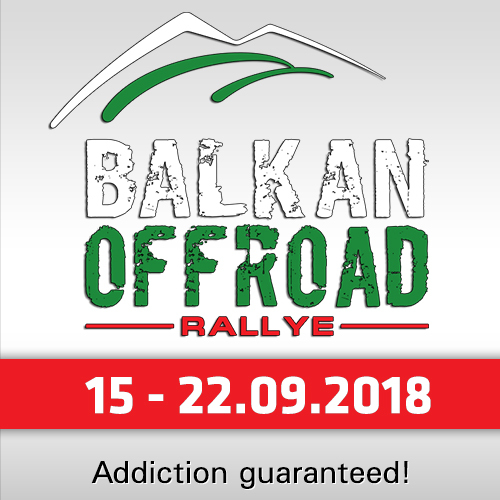 The winners are Russians Dmitrii Ponomarenko / Kirill Shubin (Polaris RZR1000) in front of Fournier / Gospodarczyk and the Russian Rally-ladies Maria Oparina / Taisiia Shtaneva with their Can Am Maverick X3.